US team in Beijing for trade talks after IMF 'storm' warning - SABC News - Breaking news, special reports, world, business, sport coverage of all South African current events. Africa's news leader. People walk past the entrance to a construction site in Beijing. 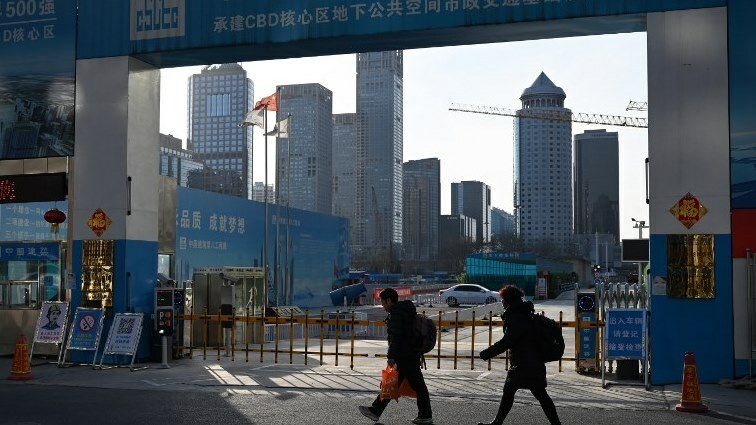 US negotiators met with their Chinese counterparts in Beijing Monday for a new round of high-stakes trade talks, hoping to reach a deal before the March 1 deadline set by Donald Trump as the IMF warned of a possible global economic “storm”. In December, Washington suspended for three months its plan to increase tariffs on $200 billion worth of Chinese imports — to 25 percent from the current 10 percent — to allow time for negotiators to work out a trade spat that has triggered fears of a global economic slowdown. Trump said last week that he did not expect to meet his Chinese counterpart before the trade truce expires on March 1, and top White House economic adviser Larry Kudlow said that while Trump was “optimistic” about a deal, a “sizable distance” still separated the two sides. This entry was posted on 11 Feb 2019,01:57PM at 1:57 PM and is filed under World. You can follow any responses to this entry through the RSS 2.0 feed. Both comments and pings are currently closed.